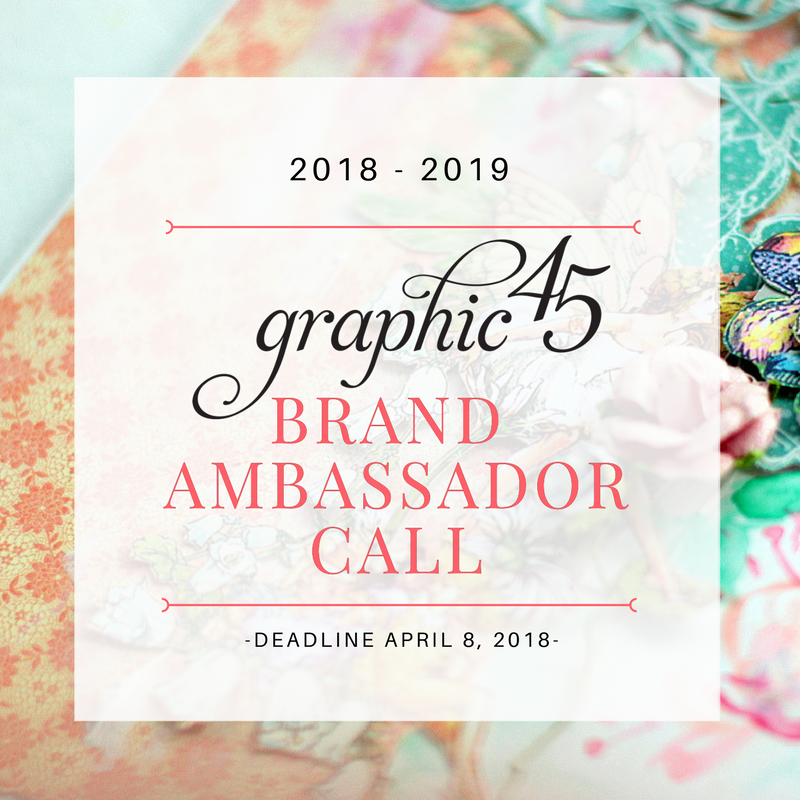 I am sharing few projects made with Graphic 45 as part of audition to their call for Brand Ambassadors. Whew!!! Who wouldn't want to be part of their team??? It would be a dream come true !! I totally love G45 papers and staples, may be I should say crazy about them. I drool over their papers and can spend time just flipping through them, the projects on Pinterest or those made by their brand ambassadors. I am Gayatri from India, mother of two wonderful boys. I am a stay at home Mom and started paper crafting 4 years back. Once kids grow up and leave for further studies you are left alone with so much time at disposal. That's when I started crafting. My craze for G45 started a year back, when I started collecting few paper packs. I love their colors and patterns and the possibility of fussy cutting!! OMG I love that since it is also stress buster. This is an upcycle project using empty tape rolls. I made a circular gift box. The next project is a mini scrapbook album measuring 7.5 x 5.5. I love making scrapbook albums. I have used the 'Fairie Dust' paper pack, ephemera cards and chipboard embellishments for this project. I have used few papers of 'Midnight Masquerade' as I ran out of papers and I didn't want to waste my tag sheet (grin...). I am sharing few pictures and video of flip through the album. Here is a video of the flip through of the album. Hope you liked both my projects. Thank you for stopping by. Till next time - Happy Paper crafting! Thank you so much Rajee. Hello Gayatri! Love your upcycle tutorial and all of your incredible projects. Thank you for sharing your talents for the G45 Brand Ambassador call. Happy Papercrafting! Thank you so much Charee.